Since its initial launch, the Datto Networking Appliance has continued to add new features and capabilities directly influenced by MSP feedback. 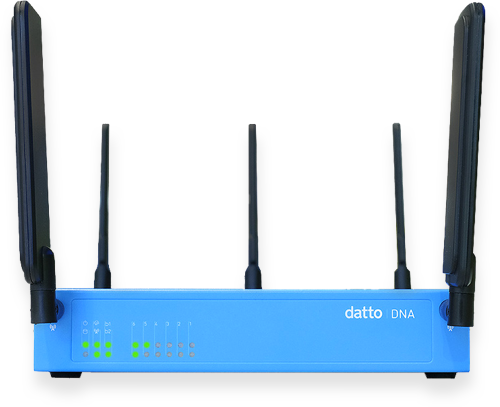 With an edge router, firewall, intrusion detection and prevention combined with the fully integrated 4G LTE Internet failover, the Datto Networking Appliance delivers everything you need to deploy a network for your small- to medium-sized clients. Delivering layer 2 protocol analysis, the appliance actively identifies any packets that shouldn’t be there and proactively prevents them from affecting the network. The end result is secure connectivity that you can count on. All of the connectivity you need with six 10/100/1000 I/O ports (2 WAN and 4 LAN), 3x3 MIMO 802.11ac WiFi, and fully integrated, multi-band CAT4 radio for 4G LTE failover and failback. 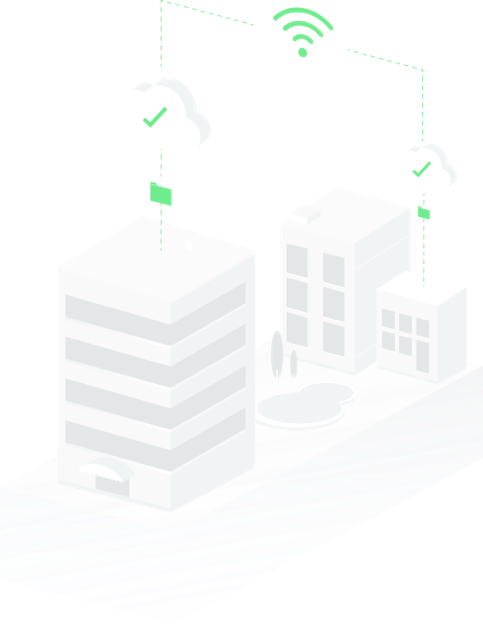 Traffic Shaping enables you to determine what applications require precedence (such as VoIP) to ensure those applications have enough bandwidth to function in an uninterrupted mode. The Datto Networking Appliance includes everything needed to set up a network. With built-in edge router and WiFi, simply connect the appliance to an external ISP and enable a wireless network for internal employees or guests. With the fully integrated 4G LTE failover and failback from Verizon Wireless, AT&T, Rogers or Vodafone, businesses can enjoy always connected networking. And with hardened security features such as intrusion detection and prevention and a firewall, the Datto Networking Appliance delivers performance at a price point that makes sense. At Datto, we believe in the value of great products and an unwavering commitment to 24x7x365 customer service and support. The Datto Networking Appliance ships with a three-year warranty...backed by our replacement program. If you have an issue with your device, we ship you a new one before you send your damaged device back. That way users are always connected. Powerful networks, the Datto way.